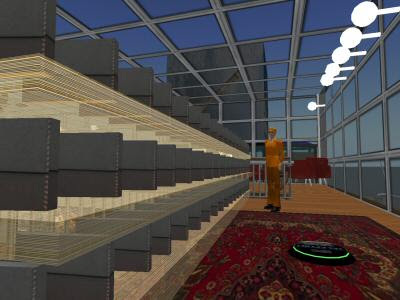 Mijn Amerikaanse archiefcollega Shannon Bohle is hard op weg om als eerste archivaris in Second Life een eigen archiefdienst te hebben. In samenwerking met NASA CoLab heeft ze een Library and Archives opgezet, maar de term Museum 2.0 is ook prima op het project van toepassing. De museale opstelling is een eerbetoon aan hen, die hun aandeel hebben gehad in de ruimtevaarthistorie, maar zelf nooit als astronaut de ruimte ingingen. Met materiaal uit collecties van over de hele wereld is in Second Life een expo samengesteld, inclusief films, foto's, schaalmodellen, geluidseffecten en achtergrondinformatie. Bovendien heeft ze een echt archief, met archiefdozen en inventarissen op de koop toe! Shannon krijgt veel medewerking, zelfs van oud-astronauten. Verschillende groepen mensen van over de hele wereld bezochten inmiddels het museum. En wil je er zelf ook eens naartoe, klik dan hier. Leuk! 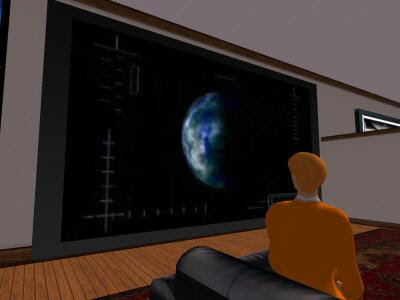 On May 2, 2009, a project in Second Life will honor the many men and women who helped make aviation and spaceflight possible, but never went into space themselves, with the launch of a Spaceloft XL vehicle from Spaceport America in collaboration with UP Aerospace. The launch will occur aboard a UP Spaceloft launch vehicle and will reach the suborbital height of 328,000 feet. Among the honored will be the riveters, the early pilots, women, African-Americans, and the working class. These individuals represent some of the best American history has to offer in the history of flight and space exploration. Among the honored include Bessie Coleman, the Tuskegee Airmen, Amelia Earhart, "Rosie the Riveter" and other aircraft assembly workers, NASA's "female computers" and scientists, the Mercury 13, and many others. 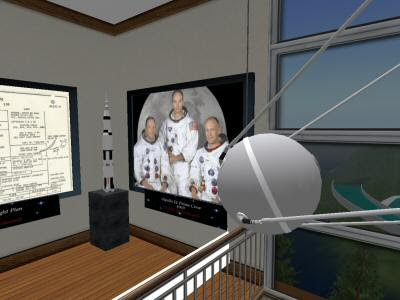 The project is a selection of materials from the Library and Archives at NASA CoLab in Second Life on a data DVD. The project is directed by librarian and archivist, Shannon Bohle, as part of the NASA CoLab mission in Second Life. Miss Bohle is available for interviews and to provide a virtual tour of her project in Second Life. The primary mission of the library and archives at NASA CoLab is to house and make available to the public records and other documentation relating to the NASA CoLab organization in Second Life and of the historical events of human space exploration by the National Aeronautics and Space Administration (NASA). Its educational goal is to provide reference and outreach services including displays and programming. The NASA CoLab Archival Research Center is located on the third floor. A reading room and meeting space to review archival materials, books, and audio books or hold conferences is available there with an excellent view of the CoLab and ISM sims. The major collections include the history of women, African-Americans, and the working class in aeronautical and astronautical history, as well as the histories of Apollo 11 and Space Medicine. Displays include digitized, born digital, and born virtual materials. Among these are the CoLab mission statement, meeting minutes, archival photographs and archival documents. 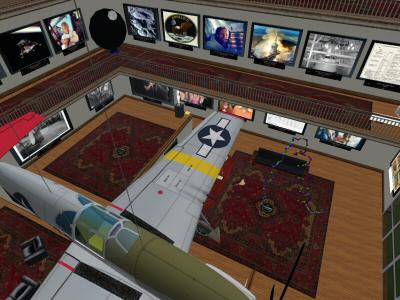 Three dimensional objects such as books, and replicas of period planes, space suits, and flight suits add to a museum-like feel to the collection and encourage visitor interaction. The project includes over 200 archival items. They are from actual archival repositories such as NASA, the Library of Congress, the USAF, and the National Archives and Records Administration (NARA). Touching a sign dispenses a note card with descriptions of each item, such as where the original images are located and the unique identifiers needed to find them. Some items were donated or created specifically for this project, such as pilot Patty Wagstaff’s photograph, Nobel Prize winner James D. Watson’s photograph, and original oral history interviews with some Tuskegee Airmen.